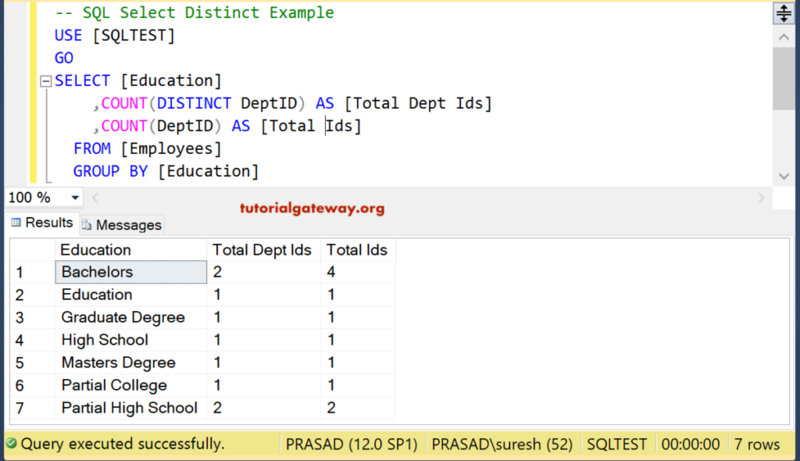 The SQL SELECT DISTINCT Statement is used to retrieve unique records (by removing the duplicates) from the specified Column in the SELECT Statement. 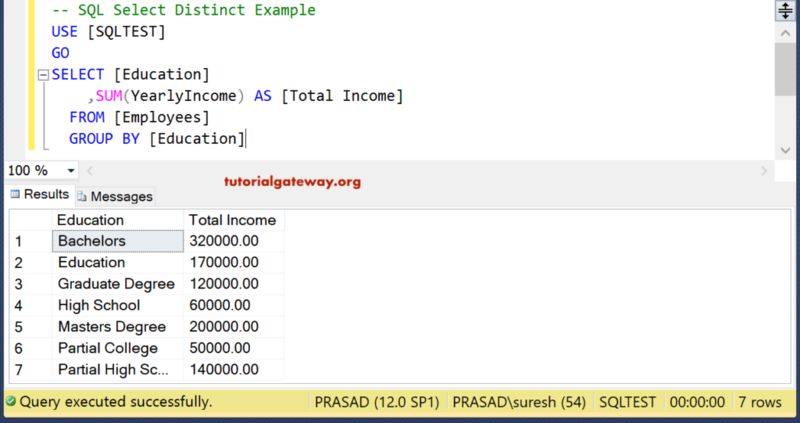 In this article, we will show you, How to write SQL DISTINCT with an example. Source: One or more tables present in the Database. 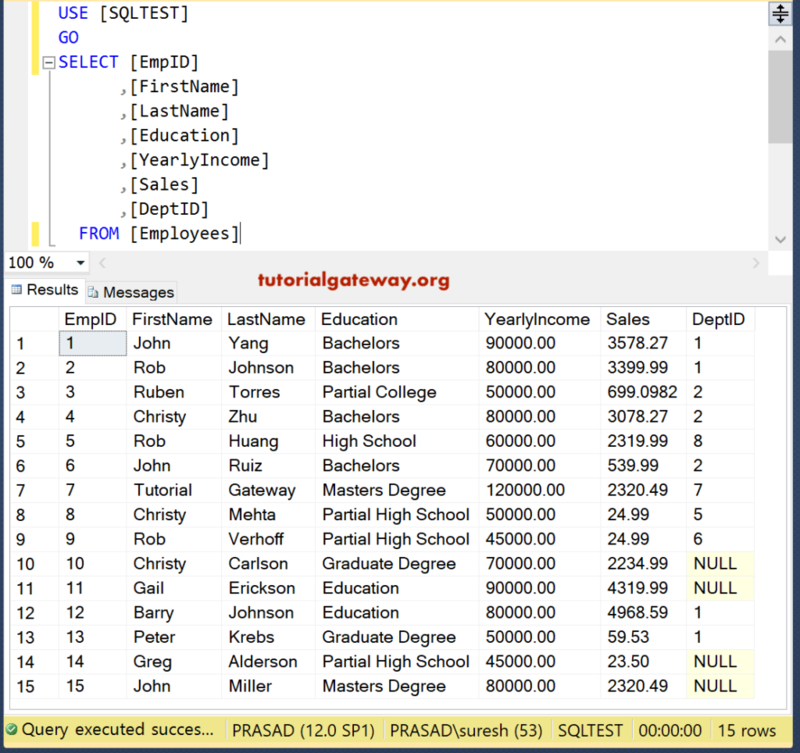 JOINS are used to join multiple tables. 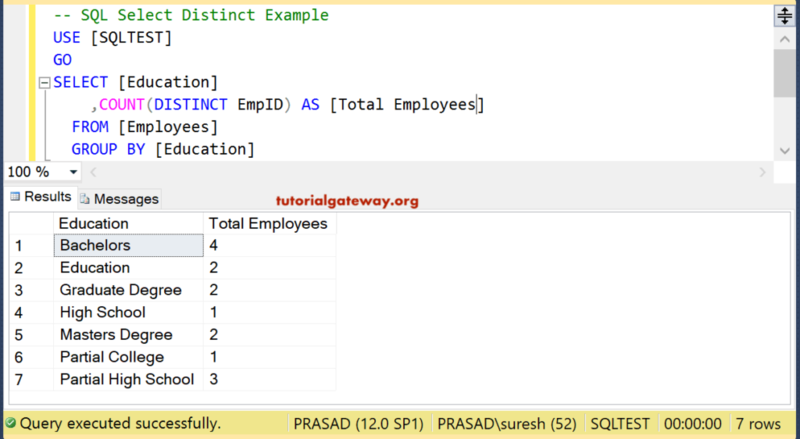 We are going to use the below-shown data to explain the SQL Server Select Distinct with an example. 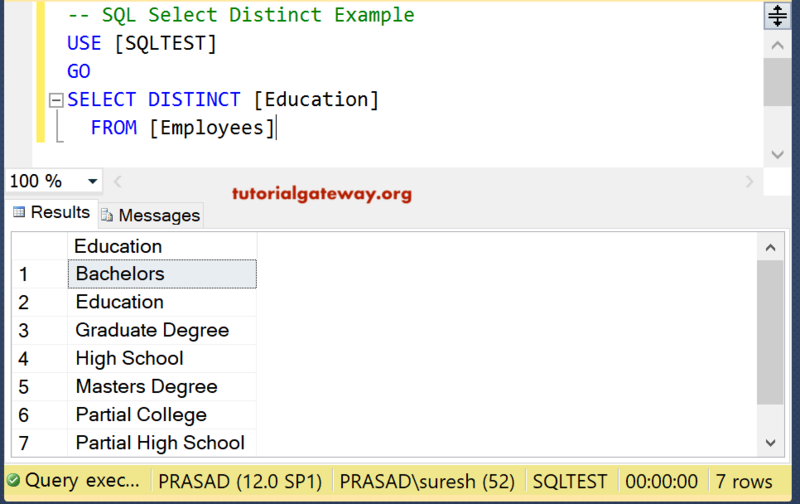 In this example, We are going to select the unique records present in the Education Column using SQL server Distinct. When we use the SQL Select Distinct multiple columns, the SELECT Statement returns the unique combination of multiple columns instead of unique individual records. In this example, We are going to select the unique combination records present in the Education Column and Yearly Income Column. NOTE: The SQL DISTINCT consider the NULL records as a valid unique record so, Please use any Not Null function (NOT NULL) functions to remove NULLS. 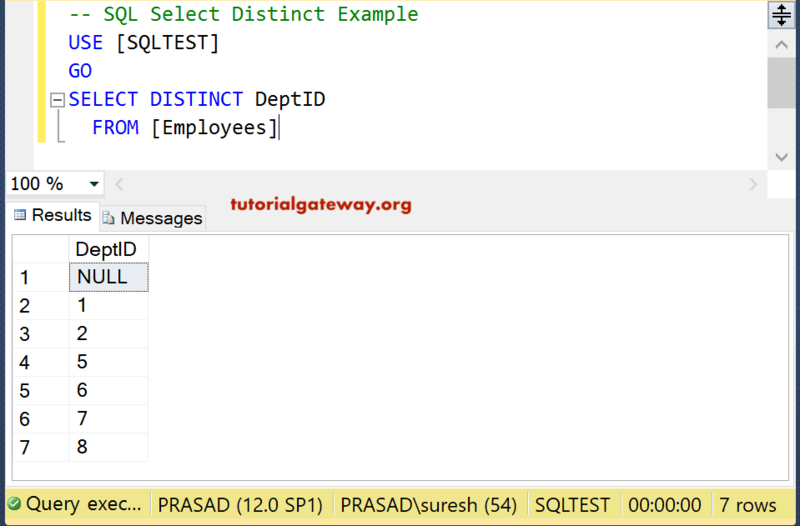 The SQL Server Distinct also allows you to use Aggregate Functions along with Group By Clause. The following Query groups the employees by Education. Next, it finds the Sum of Distinct Yearly Income for each Education group. 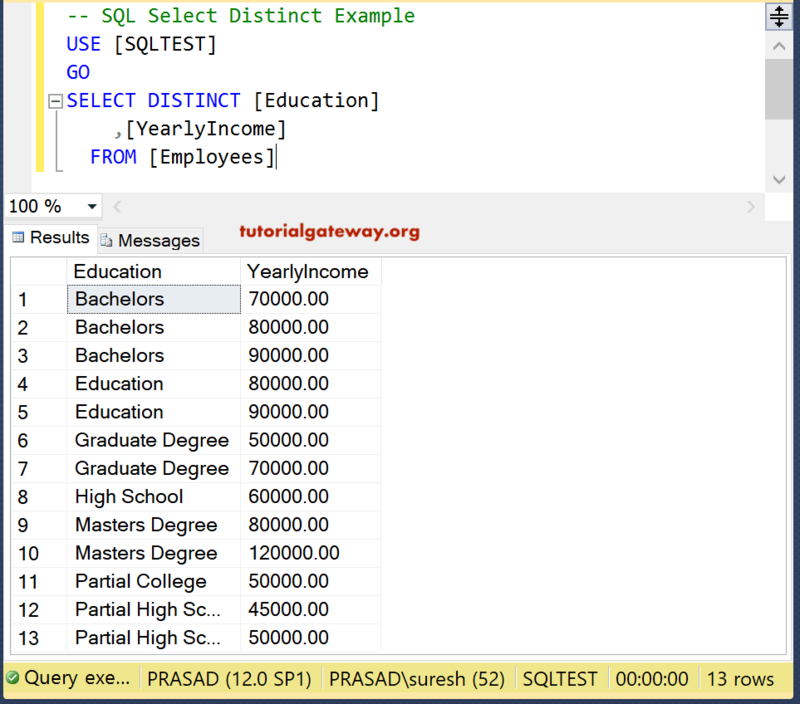 Let me remove the SQL select Distinct Keyword from the above query. 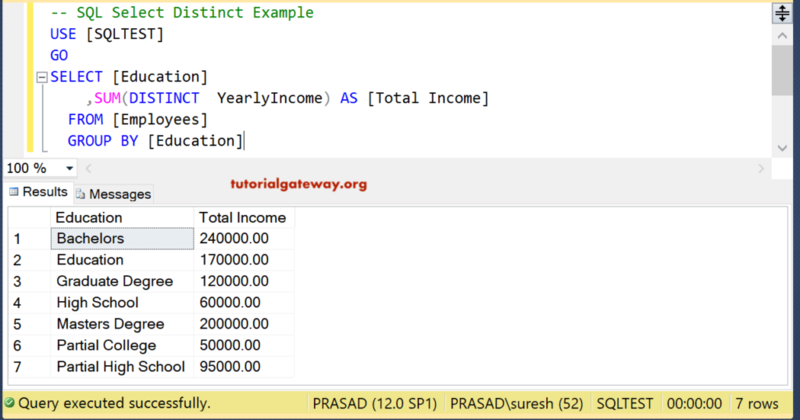 From the below screenshot you can see the difference in yearly Income. Because it is finding the sum of all the records (not the Distinct ones). 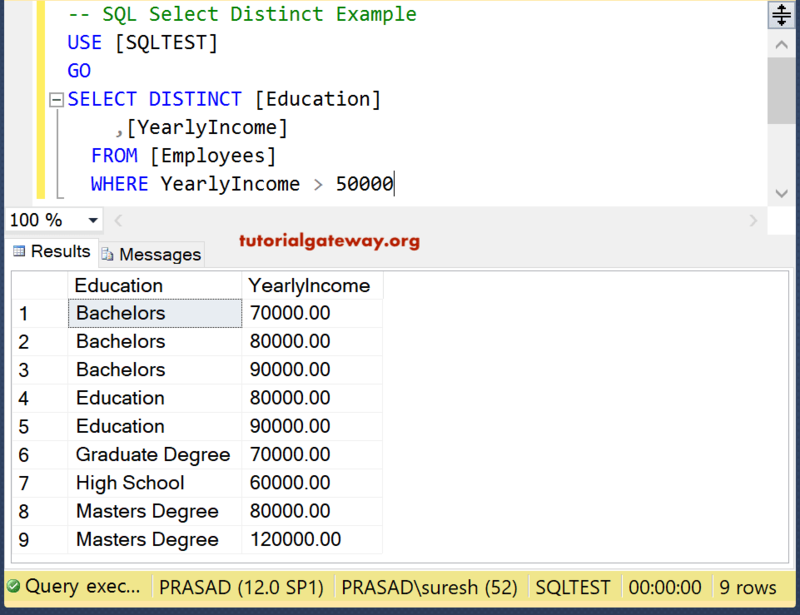 This SQL Select Distinct Count is one of the most commonly asked questions. This example counts and returns the distinct employee Ids in each Education group. Here, we used Count Function with the Distinct keyword, and without Distinct. This will show the difference between the result set. The Sql Select Distinct statement considers NULL as a distinct one. You can see the same in below example.